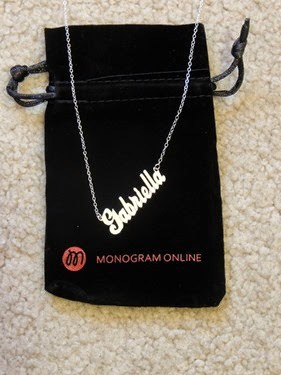 When I was about Gabbie’s age, I was desperate for a name necklace. I still remember that I got one for my birthday and my mom gave me some other presents first, making me think I hadn’t received the necklace. Then she handed it to me and I was so excited! 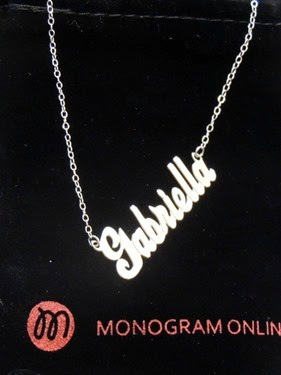 When I heard about MonogramOnline.com, I knew I wanted to get a name necklace for Gabbie. 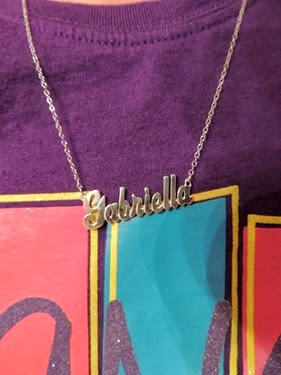 I chose the Sterling Silver Script Name Necklace, and I ordered it with Gabbie’s full name – Gabriella. “This elegantly and fashionably written in script name necklace can be personalized with up to ten letters, made of sterling silver and high polished for a shiny finish. 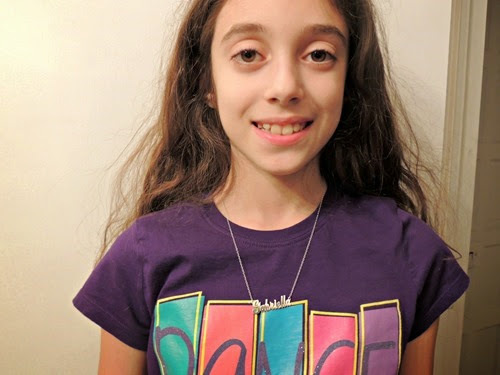 Necklace comes with a link chain 16 to 18 inches in length.” The necklace arrived in a velvet bag and looked very nice for Gabbie to wear! Of course, monogram necklaces are also available. Want to order a similar necklace? You can get 45% off store wide with the code BLOG45! 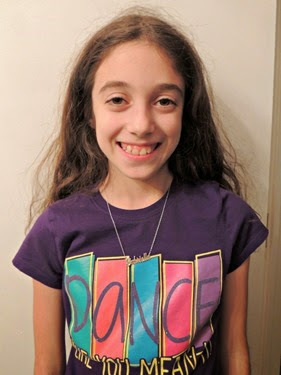 I received this necklace in exchange for my review. No other compensation was received and all opinions are my own. 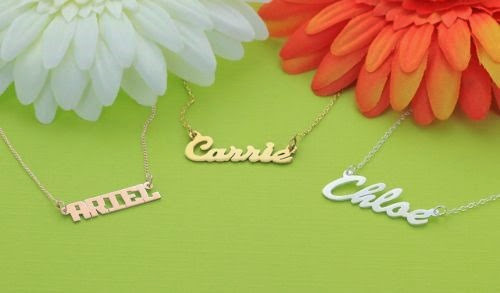 Do you or your children have name necklaces?